Every once in a while, you have a conversation with someone who you know will leave an unmistakable impact on your life. Exactly how and to what extent you may not be sure but you know you won’t be able to stay the same. This was the feeling I had after lunch with Nicole Bowe-Rahming. 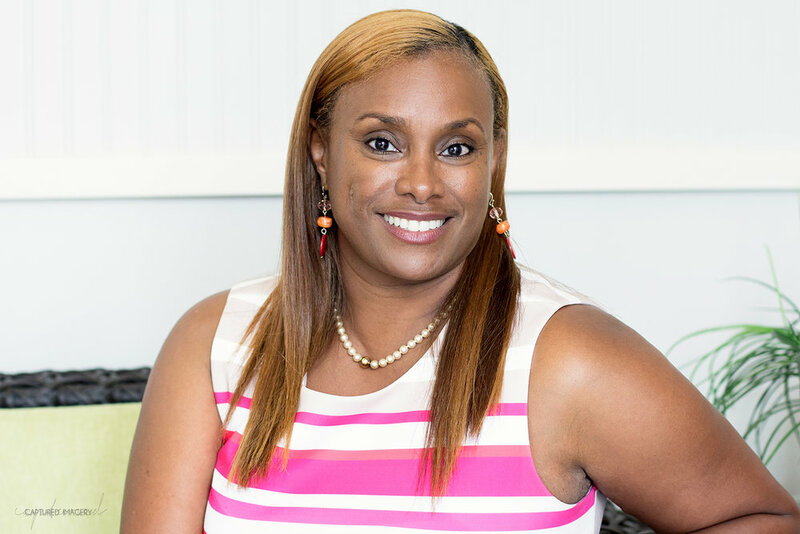 She is a fortitude coach and an entrepreneur with a burning desire to see business owners go from average to extraordinary, to see kids go from defeated to daring, and to see women go from frazzled to freedom. Her business, The Fortitude Coach, was born from an autoimmune disease that threatened her life. Even being a homeschooling mom of two and a Navy wife, Nicole realized she couldn’t continue to wait if she was to be able to fulfill the calling she felt on her life. The Fortitude Coach has grown into The Fortitude Institute with a focus on coaching entrepreneurs and executives through challenges and pushing them to achieve victory and success as well as a focus on helping youth and teenagers grasp their deep value and potential. To the entrepreneur and high performing professional she speaks a message of overcoming obstacles, efficient performance, mindful action, looking behind the mask to find what makes you uniquely you, embracing personal weaknesses and taking back the control you want. Her Broken Molds Youth Program speaks a message of purpose, uniqueness, self value and communication. She coaches young people in the skills that will help them become the next generation that brings positive change to our world. Nicole shared a unique perspective for women in business that I appreciate. As women in this age of equality we often take on too much and we are too hard on ourselves, never stopping to take the time to embrace the feminine softness and emotional and spiritual processes that is such a deep part of who we are. I believe the conversation of feminism should be less of equal roles and more of equal respect, a perspective that was deepened in my conversation with Nicole. Maybe feminism isn’t about male versus female but rather its about a beautiful dance of unity between masculinity and femininity on every level, spiritually, individually, domestically, economically, and politically. If you are a woman desiring to pursue your dream of building a business, you must allow it to take you on a journey of self-discovery. You must have the courage to wake up and embrace who you ARE. Allow the process to reveal the fire in your soul and uncover your unique message. Use your voice, embrace your pain, and go to a deep place of emotion if that is what your soul needs. Consider embracing tears as expression and cleansing rather then a curse of weakness. Take the time to find strength in your softness and THEN move forward to accomplishment, grounded in full acceptance and love for the person you are. Find the fortitude to overcome obstacles because you are true to yourself and become the powerhouse of change that this world needs. The deep inspiration that Nicole has left with me has been to fully embrace everything I am as a woman. The past, the journey, the pain, the aspirations, the shadows, the light, the dreams, the potential: yes, the whole scale that is me. As she so beautifully stated, “I want to be known for looking behind the mask because that is where the good stuff is.” After my conversation with Nicole I have now been inspired to always look behind the mask, embrace what I find, bring the shadow to light, empower all the unique potential that is uncovered and live it every day in the most beautiful imperfect way that is me.